The National September 11 Memorial & Museum is the non-profit organization that oversees operations for the 9/11 Memorial and 9/11 Memorial Museum. Located on eight of the 16 acres of the World Trade Center site, the Memorial and Museum remember and honor the 2,983 people who were killed in the horrific attacks of September 11, 2001 and February 26, 1993. The Memorial plaza design consists of two reflecting pools formed in the footprints of the original Twin Towers surrounded by swamp white oak trees. The Museum displays more than 10,000 personal and monumental objects linked to the events of 9/11, while presenting intimate stories of loss, compassion, reckoning and recovery that are central to telling the story of the attacks and aftermath. It also explores the global impact of 9/11 and its continuing significance through education programs, public programs, live talks and film features that cover relevant and contemporary topics designed for diverse audiences.  Appnovation upgraded the previous site, built in Drupal 6, to Drupal 7 with mobile in mind, integrating new 3rd parties such as Drupal Commerce. 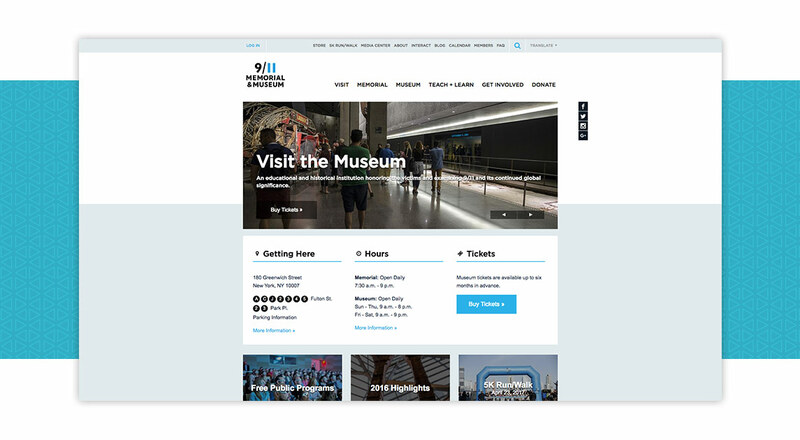 This enhanced user experience and provides the Museum’s 2.2 million visitors a year with an elegant and user-friendly online experience of the entire Museum, inspiring visits to the archaeological heart of the World Trade Center site. 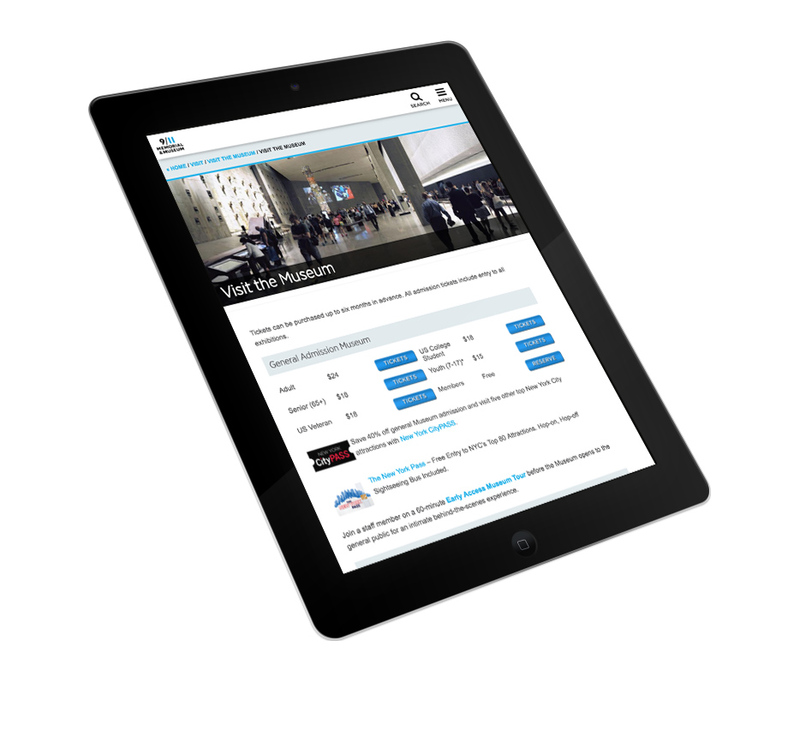 Key features of the expanded and redesigned site include a streamlined design for greater ease of viewing the vast array of images, resources, and other material; and a fully responsive theme, allowing the site to adapt to mobile devices, desktop or any other viewing environment. 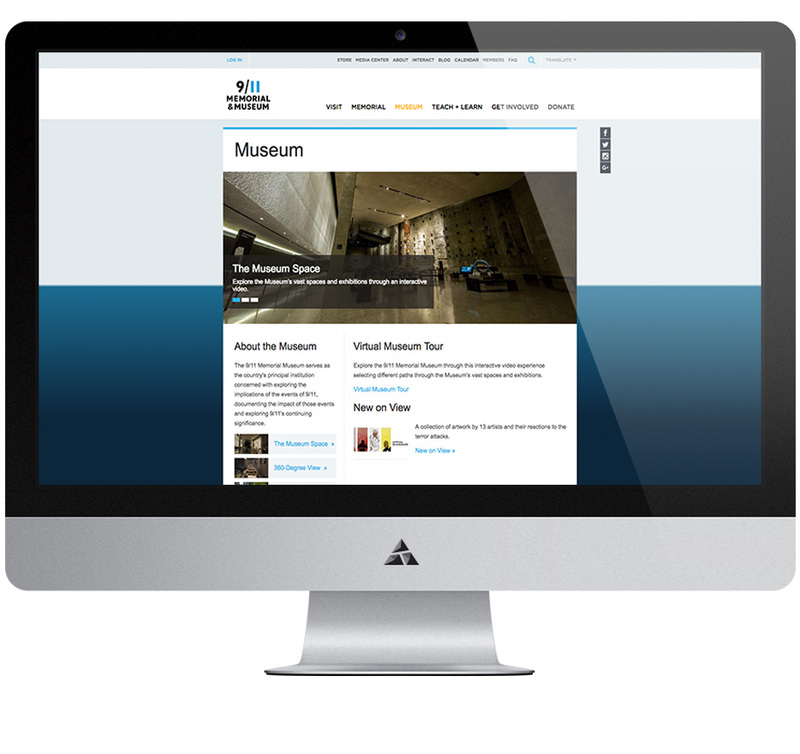 The new site will provide 9/11 Memorial Museum online visitors with immediate, easy to navigate access to current and up and coming exhibitions, virtual tours of the museum and in-depth information about the Memorial.